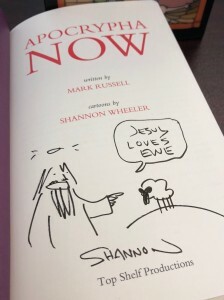 This week CBLDF is rewarding your donations with GNs signed by New Yorker Cartoonist and multiple Eisner Award-winning creator Shannon Wheeler! 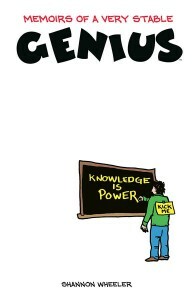 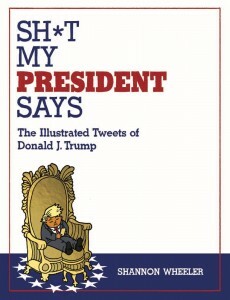 CBLDF supporters can donate today to grab a copy of his brand-new collection of short stories and more, Memoirs of a Very Stable Genius; his best-selling Sh*t My President Says: The Illustrated Tweets of Donald Trump HC; a lovely hardcover slipcase collecting both God is Disappointed in You and Apocrypha Now; and the massive Too Much Coffee Man Omnibus Plus HC, all signed by longtime CBLDF supporter Shannon Wheeler! 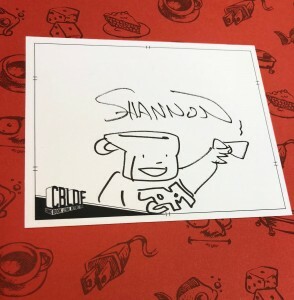 Don’t wait, donate to CBLDF today to make a difference in our anti-censorship work and get a great new signed graphic novel! 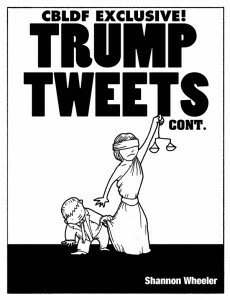 Memoirs of a Very Stable Genius GN, signed by Shannon Wheeler! 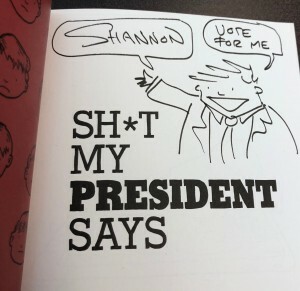 Sh*t My President Says HC & CBLDF-Exclusive Trump Tweets #2 Zine, signed by Shannon Wheeler! 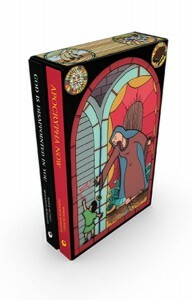 God is Disappointed in You / Apocrypha Now HC Slipcase, signed by Shannon Wheeler! 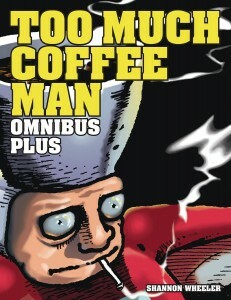 Too Much Coffee Man Omnibus Plus HC, signed by Shannon Wheeler!